Have you felt your hair grow coarse over time? Or that your skin is losing that supple and rosy look? Maybe your shower water is at fault and you need to do something about it as soon as possible before it starts affecting other facets of your life. A shower water filter could be an ideal solution. 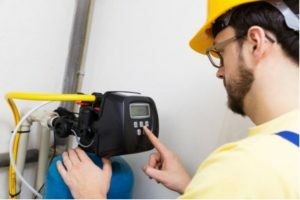 However, you need to stay on your guard and be on the constant lookout for signs that signal the need for whole house water filter to keep your family safe from health hazards. Homeowners are often frustrated when they find partially cleaned dishes coming out of the dishwasher. Before blaming the appliance, you might want to know that the dishwasher is itself screaming with pain, in hopes of garnering some attention. What we mean here is the reduced efficiency and life of the dishwasher due to lime scale buildup, owing to the presence of hard water in your plumbing system. This causes the appliance to struggle using up more energy in the process. A whole house water filter ensures that all water supplies are free from hard water contamination and is fit to be used in appliances so that their efficiency is not undermined. Pure, Clean Drinking Water – A Blessing Indeed! Thanks to whole house water systems, most households manage to ensure a constant supply of clean drinking water. What you need to know is, that their mechanism is designed to purify your drinking water supply from ground root level. 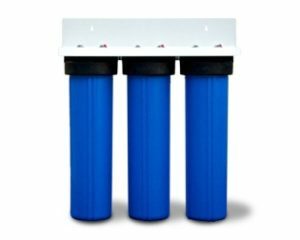 A sediment pre-filter installed in whole house water filtration system ensures that sediment of all types is sieved out right in the beginning. This also saves you from lead contamination, which is one of the most hazardous metal contaminations. A clearer, pure, odor-less and better tasting water is available at your disposal with the use of whole house water filters. The question that arises is here is whether you can trust the government with the water that comes through your faucet? Ava Water Filter is a microbiologist owned and managed company, dedicated to spreading awareness about the importance of water filtration systems. It also offers top notch whole house water filters to help relieve homeowners of the stress of dealing with hard water or sulfur and chlorine creeping into our water systems from underground supplies. Get in touch with our experts at the earliest to secure your home from the clutches of water contamination. 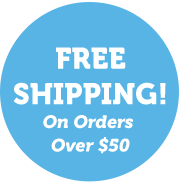 Also avail our free shipping offer on orders above $50.